So excited about this new Stampin Up Holiday catalog. Today’s card is a fall card from the the Country Lane Suite. It showcases the Country Home stamp set, the new Tin Tile impressions folder and the new Chicken Wire Elements. 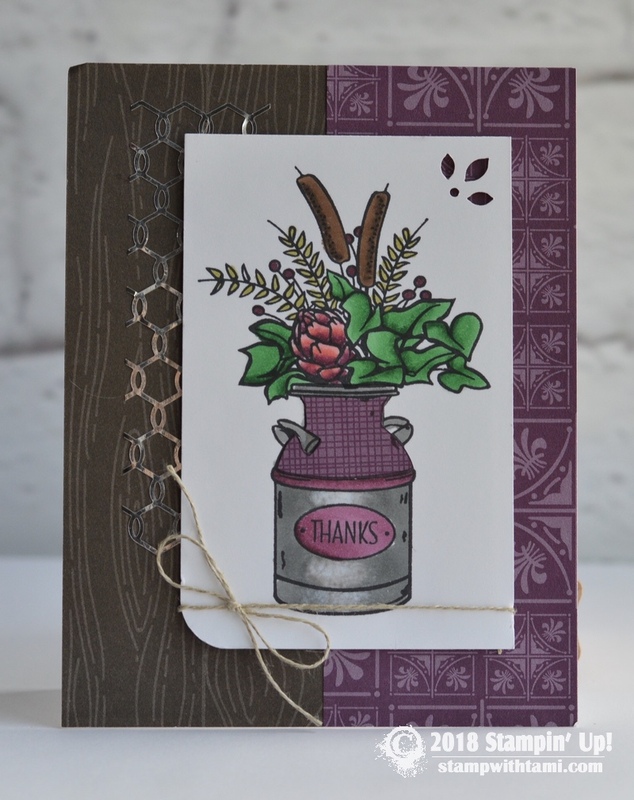 The image is colored with the Stampin Blends Markers. Congratulations on 15 years you are truly an inspiration. I am a newbie of 3 years and you have taught me a lot regarding growing my business.